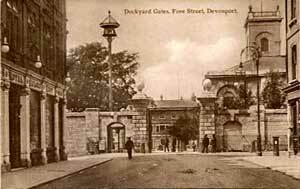 SELLER'S DESCRIPTION: Dockyard Gates, Fore Street, Devonport. Postally Unused. Publisher: Press Bureau Service Series, dated 1917. Condition Good, some light foxing. 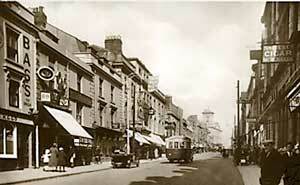 SELLER'S DESCRIPTION: Fore Street with tram posted in 1905. Publisher - None credited. Condition - Edge and corner wear. A printed postcard showing tram no.9 approaching, there is horse-drawn traffic and lots of pedestrians. 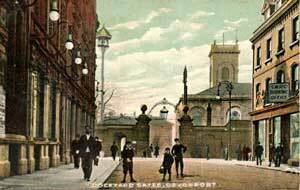 SELLER'S DESCRIPTION: Shows a view looking along Fore Street with The Military Arms to right, horse drawn carts and a tram. The card was posted in 1908. 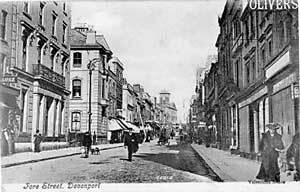 SELLER'S DESCRIPTION: Fore Street c.1910. 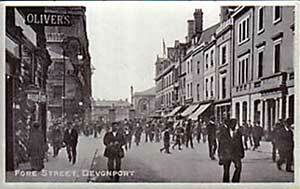 Devonport in its heyday showing how busy the main shopping centre of Fore Street was in 1910. SELLER'S DESCRIPTION: Fore Street. No publisher details, no folds or creases, small scuff on top right. 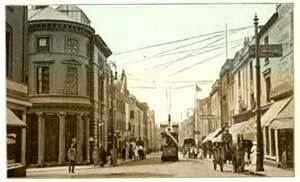 SELLER'S DESCRIPTION: Fore Street 1920s. Unposted. In excellent condition. Card 1. 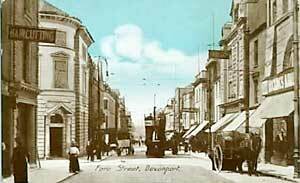 Fore street postcard. 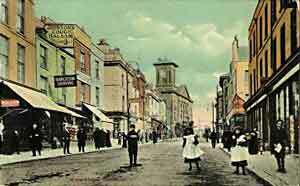 A good photographic card with a bus in the foreground Not postally used. Card 2. Fore Streeet. 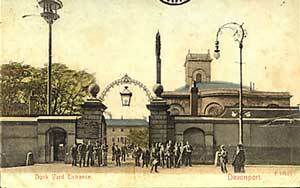 This unposted Postcard from the 1920s, is in excellent condition. 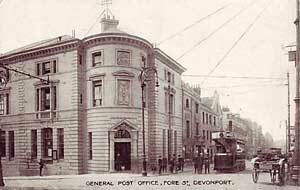 SELLER'S DESCRIPTION: General Post Office Fore street c1905. Published by WBP. Unposted. Minor edge/corner bumps, otherwise good. 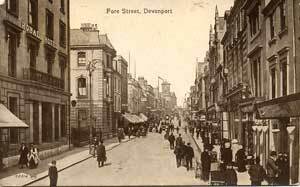 TITLE: c1900s Postcard Fore Street Devonport with children in Edwardian dress. 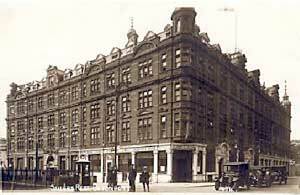 Businesses visible, Co-operative Drug Stores / Haircutting & Shaving shop. PUBLISHER: M.Ettlinger & Co. Series No 1066. Printed in Germany. CONDITION: Good except for scuffing to corners and edges as scan. 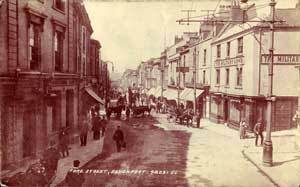 SELLER'S DESCRIPTION: Fore Street Animated B/W printed card. Published by Valentines. Unused. Condition VG. SELLER'S DESCRIPTION: The Sailors Rest, Fore Street, Devonport. Stuart's real photographic series, 654. Unused.